When: 7 – 8 p.m.
Artwalk can get fun but also sultry this time of year. What if you had a place to stop along the stroll and listen to stringed classical music as the afternoon cedes to the cooler evening? The August concert features the Gonzalez Duo, Mobile Symphony Orchestra violinist Jorge Ivan Gonzalez and pianist Adonis Gonzalez. This performance of classical, jazz and blues drifts from Mozart, to the blended Baroque and Romantic style of Norwegian composer Christian Sinding before coming back home to the music of Mississippi’s own William Grant Still. The hour-long show is the perfect break to what can turn out be sticky or downright wet art crawls during the Dog Days. You might surprised at how powerful classical music can be in an intimate setting. MSO Summer Series concerts are free and open to the public. For more information, call 251-432-2010. When: Aug. 11 & 12, 7 p.m.
We all know the storyline from the Reese Witherspoon hit film: ostensibly shallow gal shows there’s more to her than a yen for perfect style. But our local troupe needs talent to fill the roles. The cast will include: five women, aged 30s – 60s; 25 women aged 16 – 30; four men, aged 30s – 60s and 20 men aged 16 – 30. Look at the numbers again, young fellas. If you ever needed the excuse to spend a lot of nights in the midst of a make-believe sorority, this is your chance. Performance dates are Nov. 8 – 24. Audition requires a vocal selection of your choice and possibly some dance. Bring a list of schedule conflicts that might interfere with rehearsals. Callbacks are Aug. 13, 7 p.m.
For more info, call 251-471-1534 or go to www.joejeffersonplayers.com. When: Aug. 17, 3:30 p.m.
His poems have appeared in print across the nation, in The Southern Review, Negative Capability, Elk River Review, The Texas Observer, Willow Springs, JAMA, and Birmingham Arts Journal. Fowlkes will appear in the upstairs portion of the restaurant, with the reading beginning at 4 p.m. Fowlkes will have copies of the book available for purchase by cash, check or credit card. For more info, call 251-694-6853. When Dr. Martin Luther King, Jr. led the March on Washington for Jobs and Freedom on Aug. 28, 1963, little did most realize the historical ramifications unfolding. What emerged was a speech that would go down with the Gettysburg Address as one of the most galvanizing and memorable in the history of the nation. Now, on the 50th anniversary of the event, some of Mobile’s community leaders have depicted their interpretations and dreams for their hometown and brought them to the walls of the Mobile Arts Council’s Skinny Gallery. Also on display are a retrospective from artist John Prince and an array of models from the Mobile Miniature Club. An opening reception will be held during the Aug. 9 LoDa Artwalk, from 6 – 9 p.m. 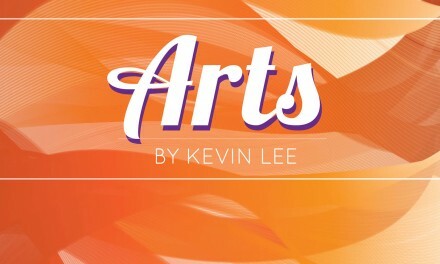 Regular gallery hours are Mon – Fri, 9 a.m. – 5 p.m.
For more info, call 251-459-2298 or go to www.mobilearts.org. Created by Alabama children of all ages with sensory impairments, these winning entries have an emphasis on creativity, color and tactile media. Select pieces travel the nation and are exhibited in federal halls in addition to becoming a permanent part of a collection at Ivy Green in Tuscumbia, Keller’s birthplace. Support for the contest is provided through the UAB Vision Science Research Center-Outreach Education Module, the UAB School of Optometry, the UAB School of Education, the Helen Keller Birthplace Foundation and the Alabama Federation of the Council for Exceptional Children Helen Keller Chapter of the Division on Visual Impairments. Library entrance is free. For complete hours, go to www.southalabama.edu/univlib/info/hours.html.